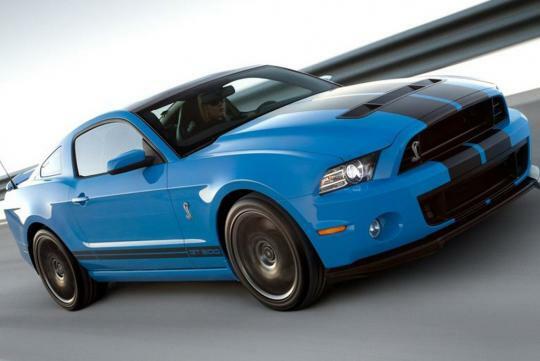 To celebrate the Ford Mustang's 50th year of existence, the Blue Oval brand collaborated with Shinola, a Detroit-based luxury goods manufacturer, to come out with a limited edition wristwatch. "Mustang is one of the greatest icons in American manufacturing history," said Jacques Panis, Shinola's Director of Strategic Partnerships. "We reached out to Ford because we thought it makes perfect sense, as we share the same passion for craftsmanship and domestic manufacturing," Panis added. "Like the Mustang itself, we want our licensed products to convey an attitude of strength, passion and quality," said John Nens, Ford Lead for Global Brand Licensing. 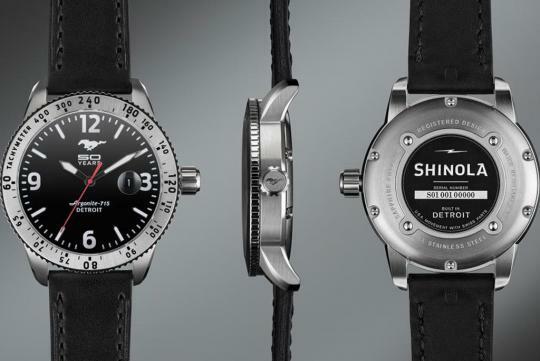 "Shinola embodies all of these things and is a perfect fit to celebrate this special moment in automotive history," Nens added. The commemorative watch will go on sale later this year and feature a scratch-resistant sapphire crystal face as well as a premium black leather strap. The face of the watch will display the Mustang 50 Years logo. The first production Mustang rolled off the assembly line in Michigan on 9 March 1964, and was introduced to the public at the New York World's Fair shortly after that. The first generation model made an appearance in the James Bond film Goldfinger in September 1964.